And in my world, because call a PFS and your banker’s going to call it PFS. 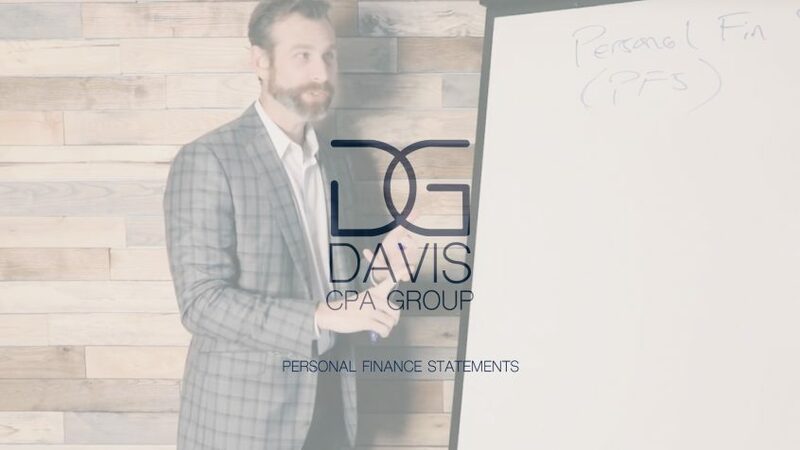 What a personal financial statement does is it reports in a concise manner and a snapshot in time, meaning at one date, all of your assets, your liabilities, and what your net worth is, meaning the value of your assets overall of your liabilities. When I walk through it, it will start making sense. So a personal financial statement is a good indicator of kind of your financial strength and your financial wealth, if you will, at a point in time. And so it’s kind of an indicator to say, maybe I should put one of these together once a year, we’ll see if I’m going up or down in my financial statement of growth and kind of where I’m at. Because it’s kind of interesting, different people have different, I guess definitions of wealth or someone’s rich or if they’re millionaires or what have you, because you can have a lot of assets, but you can have a lot of debt, which means you don’t have a whole on net worth. Or you could have not a whole lot of assets but no debt and a really strong net worth, meaning you might be more financially strength, your more liquid strength or more financial assets, strength at a lower level of assets that maybe someone’s got a higher level of assets. And we’re going to talk through what that means. So again, we’re going to talk about assets first. So your assets are cash, investments. And we’re going to have to put a finish time together as we kind of work through [inaudible 00:02:18]. So say we’ll put values with some of these things and say you got $10,000 in cash and you’ve got $100,000 in investments and these numbers are going to be real simple. We’re going to keep them all even. So you’ve got a house that you own personally, what your personal residence it’s going to be, it’s going to have value. So that’s worth $200,000 and then you’ve got vehicles, cars and they’re worth $20,000. Unless we go on, maybe have ownership in the business. Well, that might require evaluation of that business to figure out what it’s worth because in your ownership share in that business would be an asset that you have personally. And keep this simple, a cash, investments, a house vehicles, maybe you have a retirement accounts, you may have 401(k) through your employer or an IRA that you have and you’ve been saving a long time. And if you have $200,000 sitting in there, that’s an asset, that’s your money is sitting in that account. You may not be able to take it out without penalty, but you can take it out. So it’s an asset. You have cash, you’ve got investments like stocks, bonds, CDs, things of that nature. Your house, your vehicles, your 401(k). Again, we’re just trying to list these in order of liquidity. So this will actually go up here because it’s more liquid than your house. Liquid means how fast can you turn into cash? Right? It takes a little bit longer to sell my house. I probably sell my vehicle before that. So I’m not really doing for the accountants out there that might be watching my video, don’t hate on me for my order in here. So I did call it out. So we got cash investment, a house, a vehicle, 401(k), if you have coin collections or even just your household items, furniture. The upside is you don’t think about what it costs to [inaudible 00:04:00] your house with furniture and all those things. Guns some I see on phase two. It could be again, a collection type thing. So you add up all of these assets. That’s where you start on your financial statement. So what we’ve got here, we’ve got 200,000, 400, 420, 525, $530,000 in assets. So say on your house, you owe them $100,000, it’s worth 200, but you’ve paid it down to 100 grand. Your total liability is at 115,000 against assets of 530. So your net worth, which is the next section of the financial statement. So your net worth amount is going to be somewhere. Then let’s see here, do our math, right, take your total assets minus your liabilities. So 15, so $415,000 would be your net worth in this spec pattern, right? Does the math work? Yup, I think it does. So if I have 30 minus 115 equals 415, so that’s good. That’s a pretty strong net worth. Almost a half a million dollar net worth. So some people have the definition of millionaire is someone that has over a million dollars in net worth. One thing that I talked about before is, you can have a whole lot of assets and a whole lot of debt and not very much net worth and so while you’ve got a lot of things you owe a lot of people and so you may not necessarily be as wealthy as it appears, if that makes sense. Or from the standpoint of a guy like this kind of is a pretty standard situation. Guys are working a long time, been a good saver, a modest house, modest debt’s, gonna to pay down. He’s got a pretty good net worth, because you can change these numbers around and get through a very similar answer. I guess, so you had a million two and that’s what your house was worth and so why don’t I just add a million dollars a year and say your loan amount was a million one. Well, so I’ve got a million $530,000 in assets, but my house, I still owe a million one on my house. It was very high leveraged. And so I’m in the same situation where I still have only the same net worth of, 415,000. So effectively two individuals, one of the million dollar plus home and one with a modest $200,000 home and they had the same net worth and more or less the same liquidity in the sense that the other liquid assets will be the same, but they’d still have a million plus in assets. Just kind of interesting thing to think about. Again, this is used by banks and other lending institutions, or even just individuals to kind of get a measure of where they’re at financially. If you have a negative net worth, meaning you have more debts than you have liability, or than you have assets, that’s a problem because then you’re having a hard time keeping up to cover your debts because you have to have strong amount of earnings or cash flow coming in to help get you out of the situation. But you’re in a situation where you’re not really financially solvent at that point. And so that’s something to think about. So that’s what a personal financial statement is, it’s basically reporting all of your assets, all of your liabilities, subtracting the assets from your liabilities from your assets to calculate what’s called your net worth. 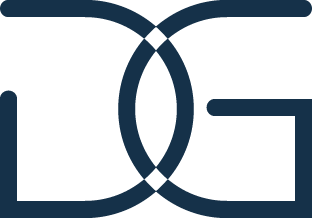 Happy to go over that in more detail or help you to complete one of those if you ever wanted to and our firm Davis CPA group. But thanks for tuning in.